It’s horrible to hear about animal abuse cases or read the ways humans are endangering many species. Fortunately, there are things we can do to speak for them. One of the ways we can help and lend our voices to good causes is signing petitions. Such petitions are sent to people in powerful positions that can make a change, especially when they see just how many people stand behind the cause. We can demand change, justice, and stop tragedies by speaking up and doing our part. If you are looking for a way to help animals, here are 10 petitions you should sign this week! 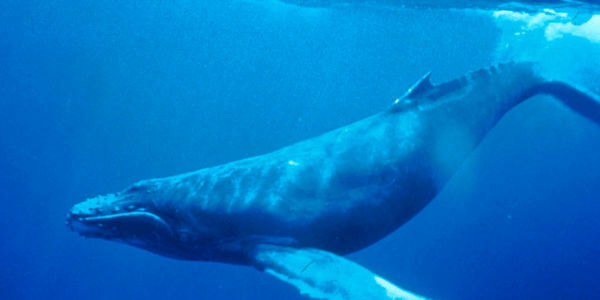 On December 26, Japan announced that it was pulling out of the International Whaling Commission (IWC). Commercial whaling has been illegal since 1986, but Japan has ignored the ban multiple times over the years. Now the country is leaving the IWC, to resume commercial whaling. 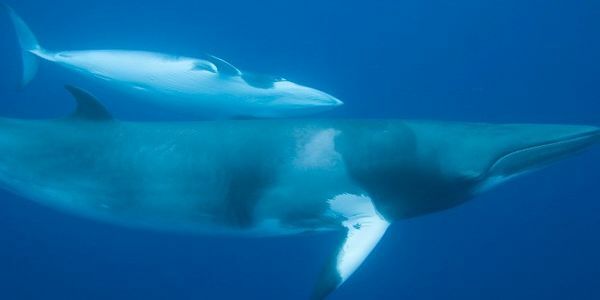 Sign this petition urging Japan to return to the IWC and not murder whales for profit. 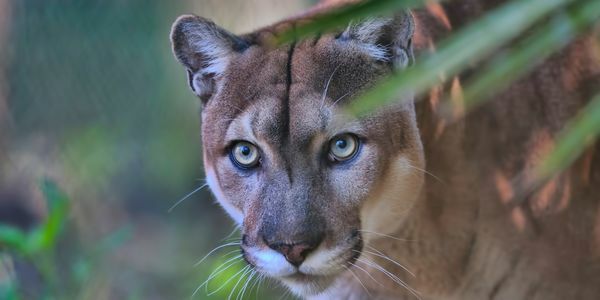 The last remaining 200 Florida panthers are in danger of becoming extinct like the eastern cougar which recently became extinct in Florida. A lucrative development project can take over the 45,000-acre land where the panthers roam and live. The U.S. Fish and Wildlife Service (FWS) must give approval for this project, but sign this petition asking them to say no to the Collier County development! The current administration approved seismic blasting off the Atlantic coast, and this will drastically affect tens of thousands of whales, dolphins, and other marine mammals. Such blasting is done for offshore drilling for oil and gas, but cetacean creatures us echolocation to find food and navigate, but the blasts are destructively loud and they injure, deafen, and kill marine mammals. Sign this petition asking the Department of Interior to end all seismic testing off the Atlantic Coast! 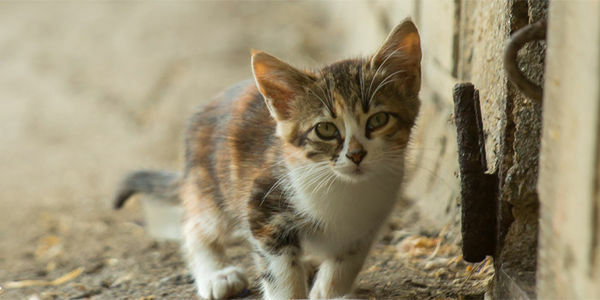 Authorities in Benalmadena, Spain are killing street cats at the request of apartment and urbanization occupants. A woman named Kelly Dooley and an organization called GAB (Grupo Animalista Benalmadena) are the only ones attempting to help the cats, but they do not receive funding. In a committee meeting, the residents decided to have the cats ‘removed’ and traps are put out for them where they sometimes wait for more than eight hours terrified and confused before being ‘collected.’ Sign this petition asking Benalmadena, Spain to end this culling and instead do like Dooley and GAB, and attempt to neuter and spay the cats. 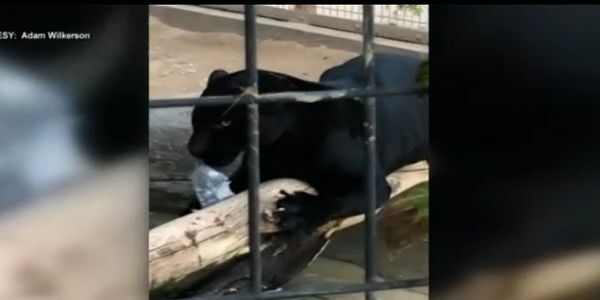 Sarah the jaguar attacked a woman who crossed the barrier for a photo, but has also displayed aggressive behavior in the past. Captivity is no place for an animal, and naturally wild animals begin to exhibit strange behavior as well as suffer from physical and mental illnesses. Sarah is clearly in distress. Sign this petition asking Wildlife World Zoo to send Sarah to a sanctuary where she can live more peacefully. Source: These Swimming Elephants Are Having Anything But Fun. Help Get Their Freedom. At the Khao Kheow Open Zoo in Chon Buri, Thailand, elephants are forced to perform in water for crowds. 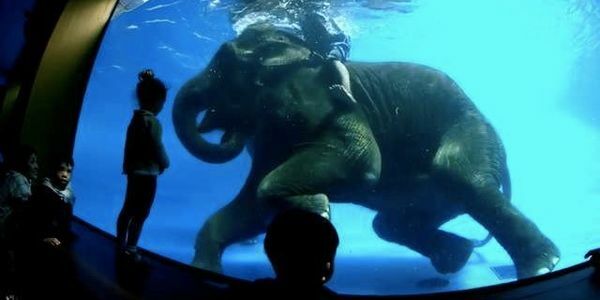 Videos show an elephant mounted by a trainer bobbing her head above and below water and doing awkward tricks. Marine parks are just another form of captivity that exploit animals for entertainment, and elephants do not belong in a place like this. Not to mention, the training process called “phajaan” translates to “the crush” because handlers beat the animals into submission. You can speak up for these elephants by signing this petition which demands that Chon Buri officials shut down the zoo and send the elephants to a sanctuary. Source: 46 States Still Allow Animal Testing for Cosmetics. Is One of Them Yours? 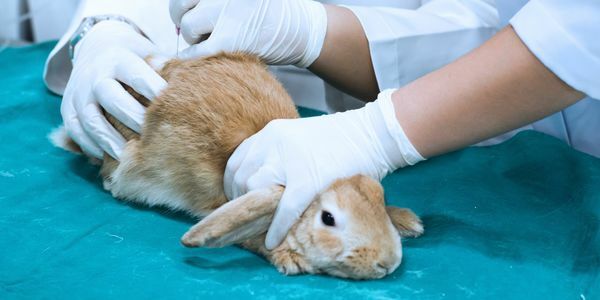 While some states like California, New York, New Jersey, and Virginia have banned animal testing for cosmetics, it is still legal in 46 states. Animals shouldn’t have to suffer and be exploited for our beauty products when there are plenty of cruelty-free brands that prove it isn’t necessary at all. To take action, you can contact your state representative asking them to work towards making this illegal and sign this petition that will go to the state legislatures of the US. Source: Morgan the Suicidal Orca Just Had a Baby in Captivity — Free Them Now! At Loro Parque, an orca named Morgan beached herself on a concrete slab in an attempt to commit suicide. Captivity causes marine animals like orcas to display bizarre behavior because their mental health is jeopardized. They cannot follow their instincts or live naturally as they should. Morgan was also bred against her will. It’s unlikely whether the park artificially inseminated her or if she was impregnated by an older male whale, but it’s known that the park locked her in a tank with a male orca who sexually pressures her and she was also bitten and punctured by other tank mates. 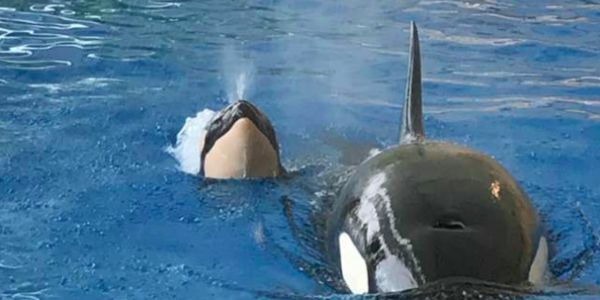 Sign this petition which demands that Morgan and her baby be released to the wild where experts believe her family was found. She should never be kept in such an environment, and her baby shouldn’t suffer the same fate. Source: Poacher Murdered Mama Bear and Her Two Screaming Cubs! Demand Justice Now! In Alaska, the US Forest Service and the Alaska Department of Fish and Game were conducting a three-year study for which they put motion-detecting camera in a bear den and were observing a mother bear who they had collared. A man named Andrew Renner and his son Owen were skiing past the den when the bears caught their attention. The son shot at the mother bear twice and when the baby bears began screaming and shrieking, the father killed the cubs too. They then noticed that the mother bear had a collar, so they removed it and tried to cover up what they did. 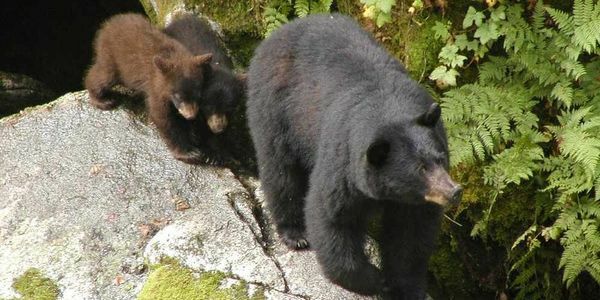 Sign this petition to demand justice for this momma bear and her cubs. Serving justice for these poor animals can help put an end to poaching. 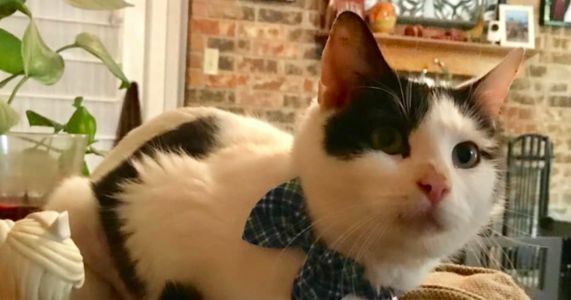 Two-year-old Marty is a precious black and white cat who was sadly found in February in someone’s yard with a pair of scissors protruding from his back. The RSPCA said, “This is one of the very worst animal abuse attacks we have seen in the last 20 years.” Thankfully, Marty was rushed to an emergency veterinary clinic and has already been adopted. His family says he is an incredibly loving cat. It’s unknown who did this to poor Marty. Sign this petition telling the Abilene, Texas police that we want justice for Marty so that they can take this and other cases of animal abuse seriously.